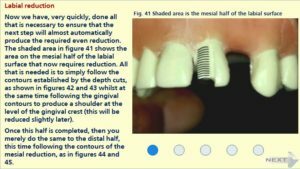 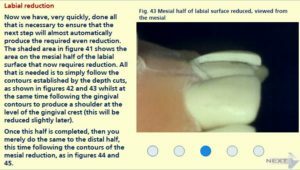 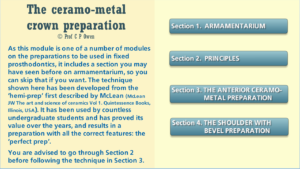 This module presents a step by step method for making the perfect ceramo-metal crown preparation, based on the principle of the ‘hemi-prep’ first described by the late John McLean. 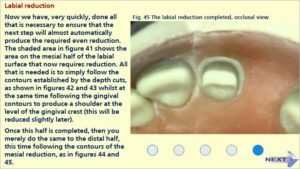 Students learning this prep for the first time, and even experienced dentists, have found that this method produces high quality preparations in minimum time. 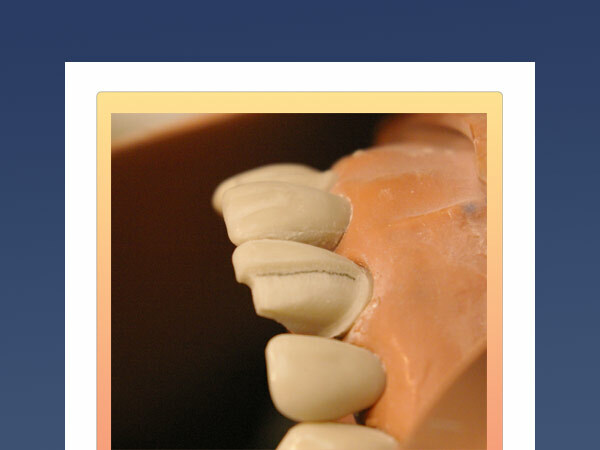 Purchase the online and downloadable versions for US$15.